Freedom Rockz: Join The Dog Pack! Win Free Stuff! Join The Dog Pack! Win Free Stuff! Ready to join the pack and run with Dog the Bounty Hunter? 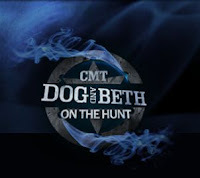 Then click the link below to go to their Facebook and fill out your information to join Dog & Beth on the Hunt on CMT. You will get exclusive sneak peeks, photos, downloads and a chance to win items from the show.